I am a Local Pastor in the Northern Maine District of the United Methodist Church. I am a firm believer in "P.U.S.H" and have seen many miracles in answered prayer. I feel that all that is created...including humankind...has sacred worth. We may have to dig deep to find it but it is always there. God is not done with us until we return to our heavenly home. So in the mean time, we should all be the hands, feet, love, voice, and image of Christ to a hurting world full of disillusion and pain. 24 But that’s OK. That’s no tragedy for me because I don’t cling to my life for my own sake. The only value I place on my life is that I may finish my race, that I may fulfill the ministry that Jesus our King has given me, that I may gladly tell the good news of God’s grace. Good morning. This is the first Sunday…the first step on our journey towards the cross. Lent is a time of soul searching and confession as we search our hearts and prepare it for the new life, we rise to on Resurrection Sunday. We think about what Jesus did for us. We contemplate the great love that was shown on Calvary’s Cross for you and me. Mine was a number 4. It happened in the middle of a concert. As I listened to the lead singer…who is also a pastor…speak I was brought to tears. You see…I had been living my life for Jesus. I am a professed “Sold Out Chick for Jesus”. There is nothing that I would not do for Him… Except one thing I held back from the One I professed to be my All-In-All… I have been living my life for Jesus but not letting Him live His life through me… Are you living for Christ or are you letting Christ live through you? In His devotional “Only Jesus”, Pastor…and lead singer of Casting Crowns…Mark Hall talks about just that…what does it mean to let Jesus live through us. What it looks like as we surrender ourselves to the one who surrendered Himself for you and me. It is a powerful and life changing devotional… This is going to be our guide as we travel this season together. So as we begin that journey from self to Jesus, we need to look at our motives…why we do what we do. In this world, we are told that we need to leave a legacy. My question is, what or whose legacy are we leaving? 1: a gift by will especially of money or other personal property. 2: something transmitted by or received from an ancestor or predecessor or from the past. So, essentially, it is something left by someone for future generation…to put it short. So, what is your legacy? Are you and I leaving a legacy with our name or in Jesus’ name? We are told by the world that you have to be someone, leave a name for yourself. My question is this, is that what is most important, is that what you and I are here for, or is there something or someone else that needs to be lifted higher than our ego’s? In God’s Word, He states that we are to “Put no other gods before me.” How are we doing on that…are we putting ourselves and our ego’s before God? Are we needing to open our bibles to refocus ourselves off ourselves and magnify God instead? †Mary – Had no idea she was going to be called to carry God’s Son. She was just going about doing what she always did…living to magnify God. †David – Was just taking lunch for his brothers to the battle field. He had no idea that he would slay a giant or eventually become the King of God’s people. He was just a simple shepherd boy who trusted in God. †Abraham – Lied, took short cuts to get what he thought was best. Trying to live his life for God’s purpose. Through him God blessed the world. Beloved, God is always…constantly…reaching out to rescue us from ourselves…our drives…our passion for self…our need to find meaning in the promises of the world. Which by the way is completely opposed to what Jesus modeled…Not my will but Your own… Beloved…all we build…all we have…all we have done…all of our trophies and accolades we have received…is truly nothing but dust when it’s all done…when life is over. The important thing…what we need to strive for is this…, “have our lives been lived in a way that lives out God’s truth to the people we love, and the ones God puts in our path…”? Lord God, You have asked me what gift You might give me…what would I require from You. I only ask for what Solomon asked when given the same question. Lord You have been with me through thick and thin, even when I don’t feel You there. Lord You have blessed me beyond measure. You have placed me among YOUR people to share the Goid News of salvation and redemption found through YOUR Son…our Risen Lord Jesus. The only thing I ask…the only thing I require…is the mantel of Wisdom that You placed upon the shoulders of Solomon. May that same mantel fall upon me as I lead those whom You would have me lead. 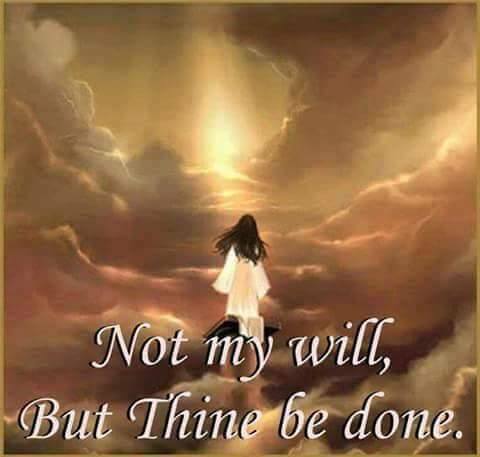 I pray for Your will to be done through me or in spite of me and my frail being. I pray for wisdom and knowledge as I share YOUR WORD with a hurting world in need of a Savior. I pray for the will to do YOUR will and not my own. I don’t ask for fame or for riches. You have blessed me immensely already. No, these things belong to YOU and You alone. I pray for the knowledge to make a difference in the lives of those who I come in contact with each and every day. I pray for a deeper relationship with You so I will know YOUR will. I don’t pray for the destruction of my enemies but the wisdom to understand them. I don’t pray for a long life but for a life that will run it’s course and purpose until they are accomplished and I am called home. I may be asking for a lot but I know and trust that You will give me all that I need. Thank You for the coming wisdom and knowledge. May I quiet myself so that I may listen for Your voice as You guide me…instruct me…on how to wear this mantel for YOUR glory.